Abacus is a global concept, offered by several institutions worldwide. The concepts are more or less similar. 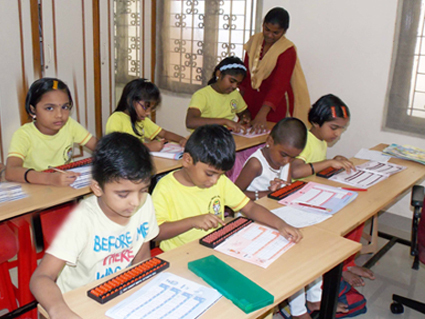 However, at Adyar Abacus Centre, we have introduced extra innovations in teaching the Abacus Concepts. Our approach is student-focussed, and we have brought in a lot of fun into the learning of abacus. Seldom is the child bored at class. Children are in an environment of comfort, where they can express their opinion and get solutions freely. What's more, there are memory games and leisure painting, reading time etc. Just walk in to understand our concept better. 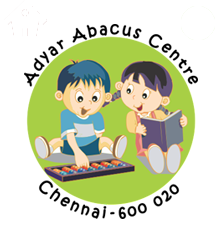 you will certainly feel the difference at Adyar Abacus Centre. At least our 100 + parents have, and swear by it. Copyright © 2003 adyar abacus centre. All rights reserved.